Episode 102 features Samantha Agan, who hails from the San Francisco Bay Area of California. Sam is originally from Philadelphia. Sam is a full-time college student studying psychology and also works full-time as a care giver for the elderly. Sam is planning to pursue her Master’s degree in psychology, with a long-term career goal of forensic psychology. Sam and I “met” on one of the online stuttering forums. She has been an active and positive contributor to the Stuttering Arena group on Facebook. 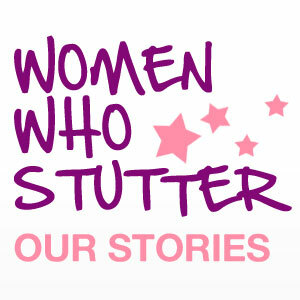 Listen in as we discuss all things stuttering – early speech therapy experiences, stuttering as a disability, self-esteem and confidence. Listen to the part where we talk about confidence and you’ll see where the title of this episode came from! This was a great conversation. It was fun getting to know Samantha and getting to know the person behind our social media postings. Be sure to leave comments for Samantha when you listen, or just let her know what a great job she did. The podcast safe music used in this episode is credited to ccMixter. 3 Responses to "Confident Radiance – Episode 102"
I can really relate when you asked whether stuttering had a hand in working in the helping profession, because it definitely did for me. Like Samantha, staying connected with online support groups and listening to podcasts helped me come to terms with my stutter and embrace it to help me grow professionally. It was great listening to this podcast and we hope to hear more!